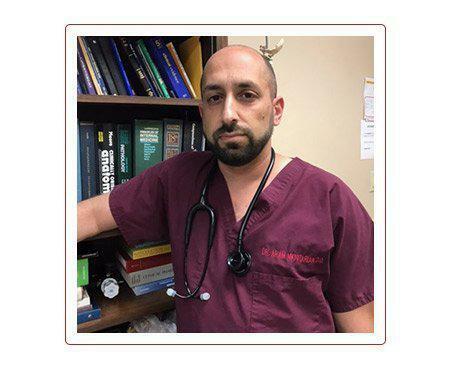 Licensed and certified physician Aram Mkhitarian, DO graduated from the College of Osteopathic Medicine of the Pacific as a Doctor of Osteopathic Medicine. After his education, he interned at the Henry Ford Macomb Hospital in Michigan, focusing on the urgent care environment. Now, as a practicing doctor at Warner Plaza Urgent Care in Woodland Hills, California, he focuses on compassionate care for his patients, utilizing the most up-to-date technologies to diagnose conditions and evaluate injuries. Dr. Mkhitarian works hard to be patient-centered, able to use all the benefits of traditional methods, while also including his specialized education for further complimentary treatments. His knowledge of the technique of Osteopathic Manipulative Treatment can help him solve problems with asthma, carpal tunnel, sinus disorders, and migraines. He performs well-patient physicals, gives vaccines, treats minor illnesses and helps patients with addictions, minimizing withdrawal symptoms and making strategic plans to eliminate the use of drugs. His hands-on, attentive approach helps develop approaches to optimize health for all of his patients.